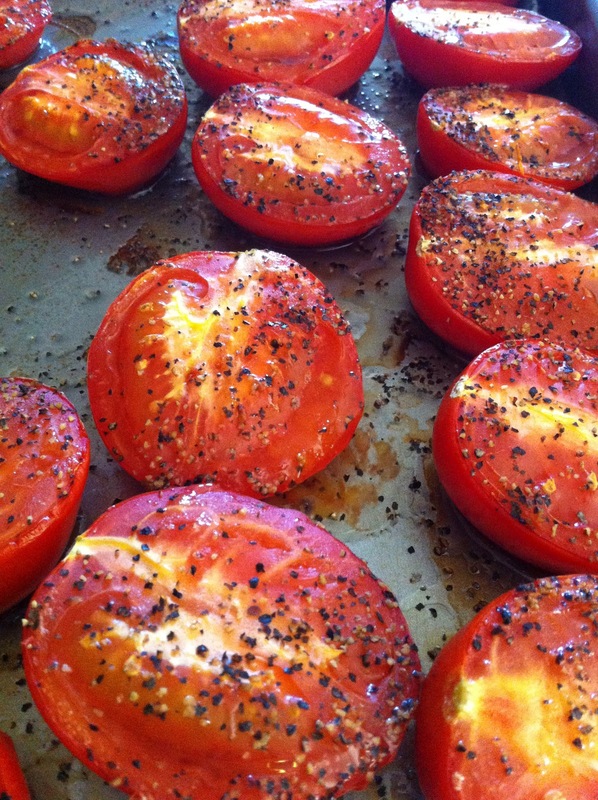 Life After Baseball: Summer Soup! 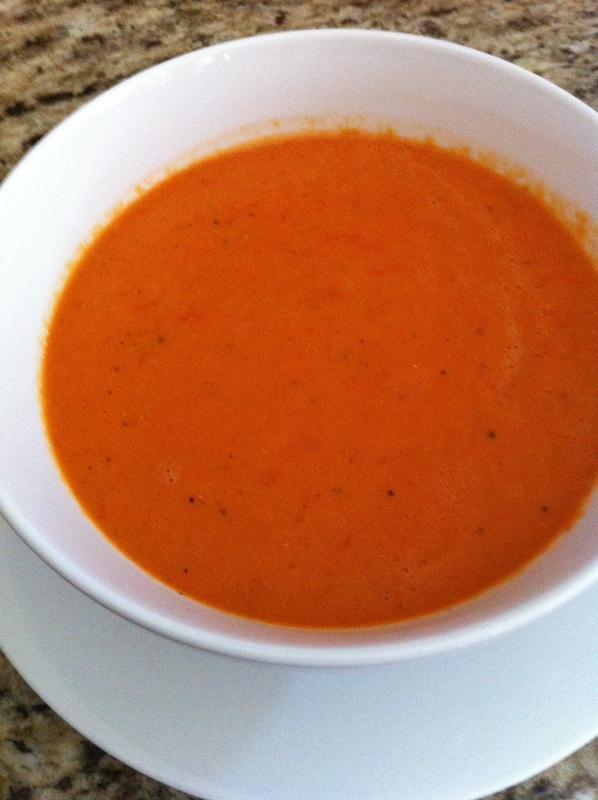 Thanks to my Aunt Dee I have a delicious super EASY tomato soup to add to my soup repertoire. Yes it was a balmy 90 something degrees outside this past weekend but cool enough inside to eat! 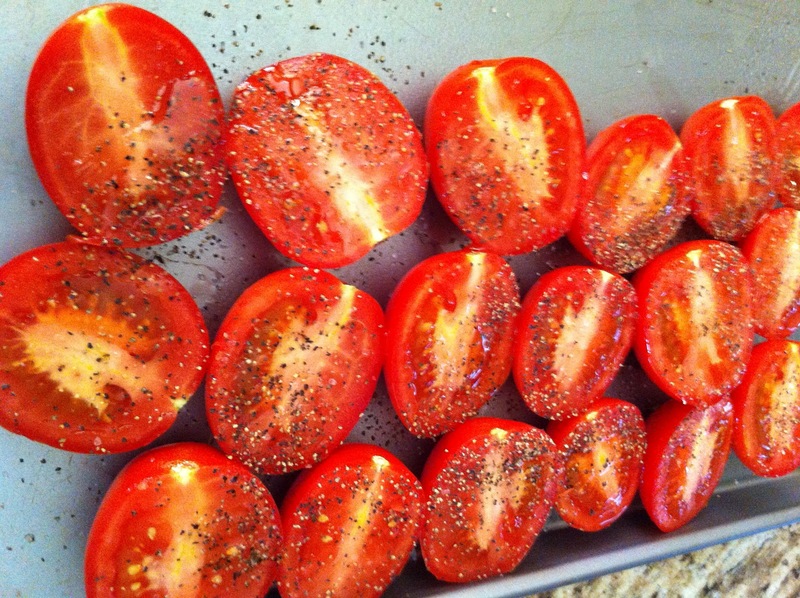 Cut your tomatoes long ways and put skin side down on a baking sheet. 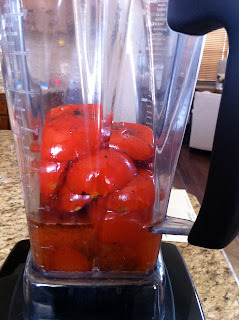 Put your tomatoes in a blender-be sure to scrape all of your roasted goodness in there from the pan. I used 1/2 & 1/2 but if you like more of a bisque soup then use heavy whipping cream. Just pour a little in at a time until you get the consistency that you like. 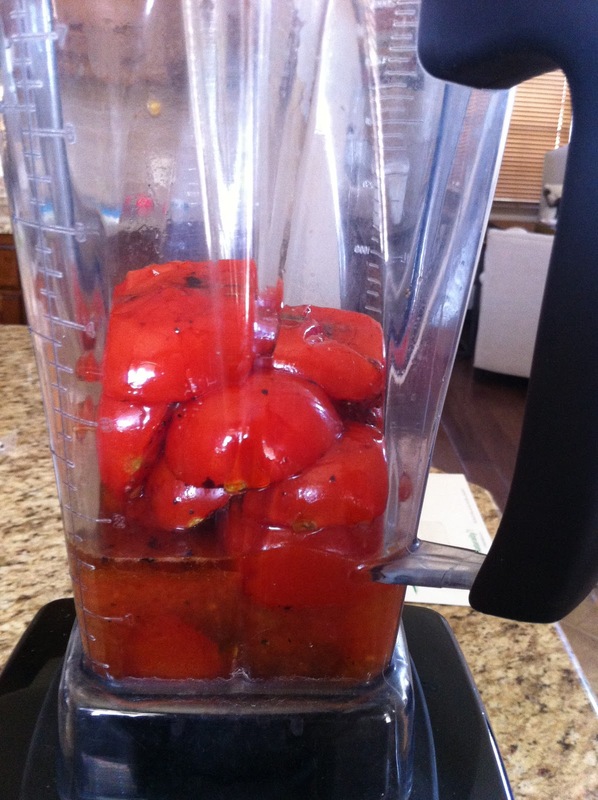 I also added a little chicken broth in to make it a little lighter. This made about 5 cups of soup. Yum! I love mater soup with a grilled cheese!